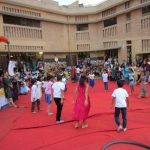 Buddhi welcomed Diwali carnival in style, filled with fun, lights and colour! 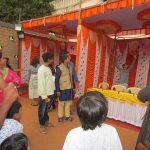 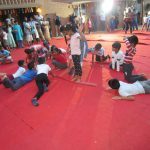 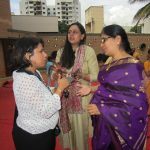 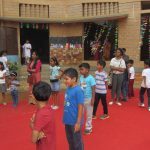 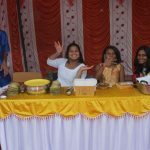 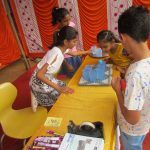 There was great excitement as children – from little ones, teens and young adults and their teachers – planned and worked on the decorations, games and treats for the grand event. 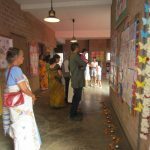 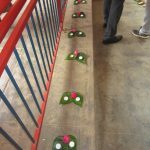 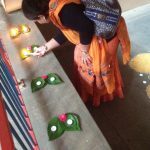 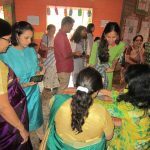 Work began in our art classes even before the Dussehra break, with preschoolers painting brightly coloured diyas and strip sheet torans that we used to adorn the ‘ramp’ leading to their classroom. 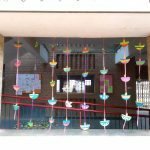 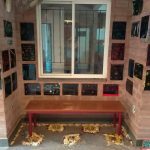 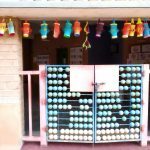 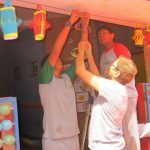 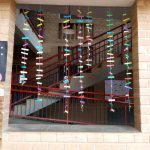 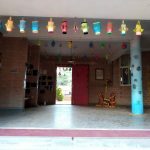 Not to be left behind, all our primarians and middlers crafted colourful paper lanterns to adorn doorways and produced lovely scratch art work that emblazoned our foyer walls in a sharp contrast of colours. 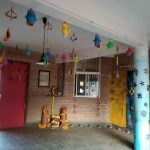 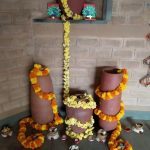 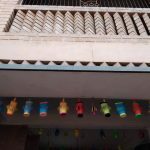 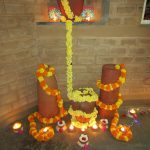 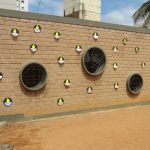 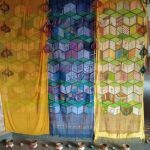 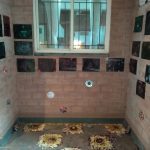 A variety of other adornments from jute covered glass jars, beautifully painted clay diyas, beaded CDs, colorful torans and rainbow paper diyas brought our earthy walls and floors to life. 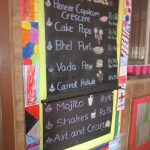 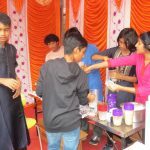 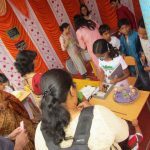 Run up to D-Day saw our kitchen buzzing with the sound of vegetable graters, pans & ladles as children and teachers prepared the treats – gajar halwa, bhel, cake pops, vada pav, capsicum kajjikais, mint mojitos and milk shakes in a variety of flavours. 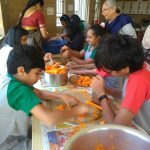 A massive food production indeed! 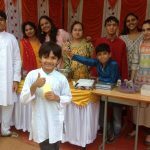 Our skilled and resourceful middlers quickly responded to last minute problems and urgencies with their customary speed and energy, saving the day on more than a few occasions. 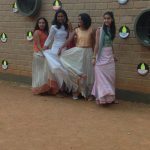 They’re not called the Buddhi superheroes for nothing! 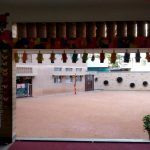 The carnival opened in a burst of colour at the gate, with our favourite gooseberry tree greeting visitors in decked up finery. 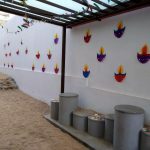 Gorgeously dressed staff members welcomed guests in our foyer, that was transformed into a temple style courtyard with flower adorned pots & walls and beautiful coconut shell diyas. 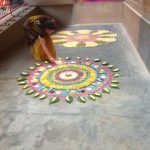 What a visual treat! 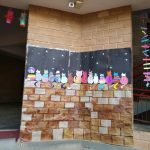 But wait, there’s more. 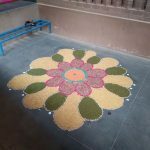 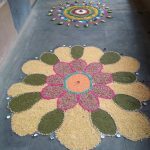 Our floors came alive with exquisite rangolis created with indredients you would see in a traditional south indian wedding perhaps – betel nuts, paan leaves, bananas, bangles, groundnuts and mehendi cones. 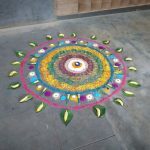 A very creative touch indeed! 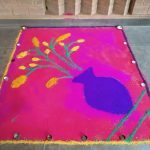 Designs in holi colours and kitchen pulses added a lovely variety too. 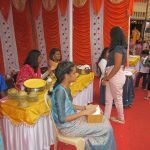 The fun never ended with stalls peddling games, mehendi art, food and drink non-stop, till everything ran out! 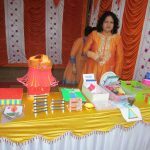 Last but not the least the ‘Art Stop’ selling products created by our budding artists saw brisk sales too. 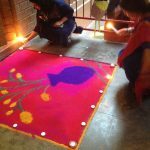 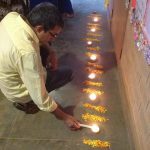 As nightfall approached, everyone was invited to light a diya each and transform the evening and space into a beautiful canvas of light and good cheer. 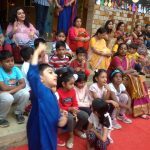 As our young ones danced to entertain their parents and friends, the carnival ended on a very happy note that we hope will continue till our next celebration. 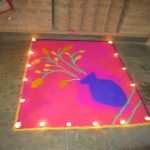 Happy Diwali from Team Buddhi!